Description: Modified and reformatted Vista quote form with an alternate header for multiple pages. 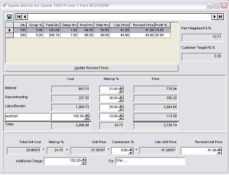 Description: Modified Vista Quote Matrix to include profitability and customer target profitability. 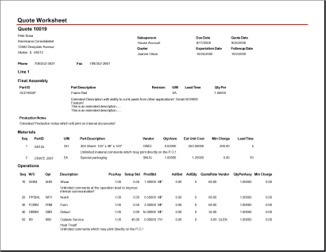 Description: Modified Vista Quote Worksheet to include profitability and customer target profitability, landscaped for better viewing. 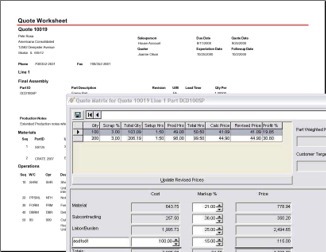 Description: This bundle replaces the existing Vista Quoting Matrix and Quote Worksheet to add profitability calculations! Now you can see the financial impact of changing methods in real time. The indispensable tool for shops that rely upon estimates.